The forest was not the only thing that was disenchanted. And the Disenchanted Forest did something to me that has not happened with regards to The Librarians: it made me actually dislike the series. There were some bright spots, but with a very curious environmental message, some very strange turns, and some really creepy moments, And the Disenchanted Forest felt so off. With Flynn now apparently gone for good from The Library, Guardian Eve Baird (Rebecca Romijn) sees the other Librarians losing a sense of cohesion. The Clippings Book, however, comes to the rescue, as they are sent off to a Team-Building Camp headed by empowerment guru Robbie Bender (T.J. Ramini). The reaction from the other Librarians is decidedly mixed. Cassandra Cillian (Lindy Booth), who has never been to camp, is thrilled and highly enthusiastic over all the hijinks she'll play. Ezekiel Jones (John Kim) is appalled and thinks it's a waste of time. 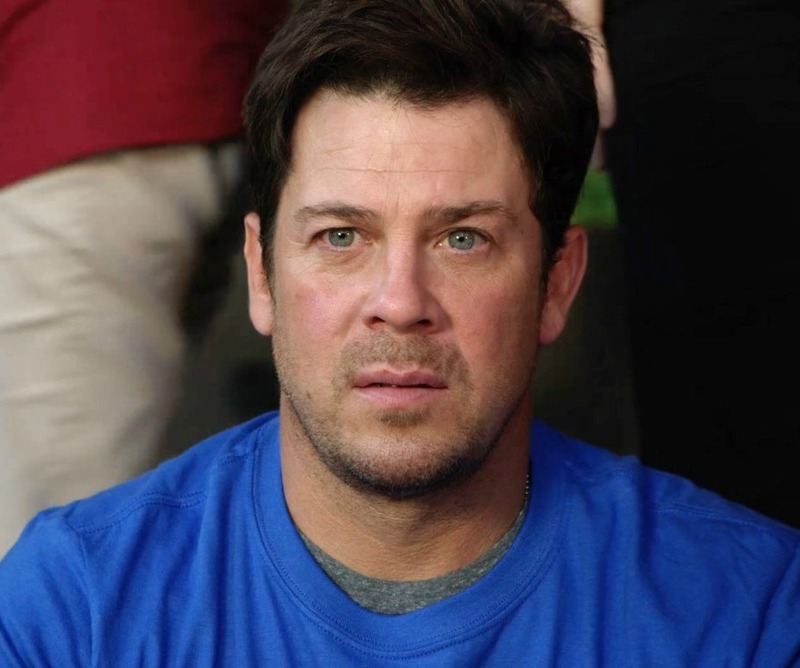 Jacob Stone (Christian Kane) is there for the mission. Soon, the ever pushy Bender gets the various companies, including those from 'The Libris Corporation' into all sorts of team-building exercises, much to Cassandra's enthusiasm and Jones' disgust. Baird is obsessed over another rival team and not happy her team keeps getting second, and Stone is making googly-eyes at Sarina (Dilshad Vadsaria), the Creativity Director who is apparently as enamored of obscure European poetry as Stone is. Of course, things are not as they appear. There have been people who have 'vanished' from the camp. Bender calls them 'me-firsters' not willing to get with the program, but the Librarians find that this is not the case, especially since the campsite was a formerly secret government area just recently reopened. Moreover, there are the rival campers. Baird discovers they are DOSA, and the head investigator, Agent Tannen (Jeremiah Burkett) is not pleased to see them there. Stone still finds heat with Sarina, but she admits that she too is there under false pretenses. She is an investigative reporter, recently fired because of her wackadoo ideas about a secret society called 'The Library' that hides magical artifacts. Stone is pretty surprised at how close Sarina is to the truth, albeit with some details wrong. As he comes close to revealing his own truth, the forest grabs him and takes him away, his final words to her are to warn the others. Eventually, with some help from DOSA which like Sarina was close but still a bit off, the Librarians find 'The Devil's Forest', where the Native Americans believed the first tree came from. Within a tree is Stone, who as a master linguist is able to literally speak for the trees. The forest worries about deforestation, and asks them to guard The Zero Seed, a glowing pine cone that can revive the woods if all the trees are cut down. No worries, as DOSA will ensure the forest is federally protected, and Bender is found innocent of all the goings-on. For her part, Sarina is taken by a smitten Stone to the Library, where he tells her she cannot speak of what she knows. Dean Devlin, who wrote And the Disenchanted Forest, also wrote and directed Geostorm, a disaster movie in more ways than one. Now, why do I mention this? Simple: both have strong environmental messages within them. It's clear Mr. Devlin cares deeply and passionately about these environmental issues and is using his work to promote his views. It's also clear that, his good intentions aside, he keeps making a mess of it. I think the nadir of this is when we see Stone literally in a tree that evokes memories of Han Solo's end in Empire Strikes Back. It's already bad enough that the special effects look downright grotesque, but somehow the idea that Grandfather Willow was just in search of a translator so that he can tell these pesky humans to stop cutting his family down is so absurd. I am genuinely surprised Jacob did not at any point say, "I speak for the trees!". It was laughable, but not in a good way, because he literally was speaking for the trees. After the Zero Seed is handed over, the trees release all the humans they've taken, some from as far back as the time of the Conquistadors by the looks of it. I guess they can find their way back to their right time if they use the Library's door, but I could not shake the idea that And the Disenchanted Forest was in some ways America's and The Librarians' answer to the Doctor Who episode In the Forest of the Night. It does not help your case when you echo one of the worst Doctor Who stories of all time, one so awful not even The Nerdist's Kyle Anderson, who is this short of being a downright Doctor Who lackey, could barely pretend to 'not dislike' it. It matches ITFOTN's desire to have the 'villain' end up not being a villain, though I think ITFOTN was less heavy-handed than And the Disenchanted Forest. I may have digressed, but what would possess any tree to think any of these people could speak for them? Was it just a wild coincidence that the trees grabbed the linguist Stone? If they had taken Jones, Baird or Cillian, what then? About the only bit of wit in the episode came with regards to Bender's call against the 'me-firsters' who felt suppressed by the all-team talk. The term 'suppressed' was interesting, for it made me think that is how Scientologists talk about those who oppose them. Was this a subtle jab at them? It's nice to have some character development: Stone's romantic aspirations, Jones' more mature manner, Cassandra's mix of ebullience with sadness at what she never experienced as a child. However, unless Sarina makes a return appearance it will be hard to have someone who knows about The Library just pop in and not return. It seems an equal waste to not only let John Larroquette have a small role, but show him coming down with a cold one moment, then back to perfect health another. It did not make sense to have Baird not consider that the other campers were DOSA. That was my first thought, so I cannot understand why with all their manner and luggage, she didn't consider that a possibility. And the Disenchanted Forest could have worked, could have been another great Librarians episode. Instead, an environmental message got in the way, and while guest stars Ramini and Vadsaria were good, and the cast did on the whole well, I could not muster any enthusiasm for this episode. These woods are dark, but they are neither deep nor lovely.